One of the more noticeable changes introduced in SADX is new water textures in some stages and the distortion effect exclusive to the Gamecube version. The Gamecube’s TEV (Texture Environment) system allows for various kinds of texture manipulation, which could be used for many things including shadows, bump mapping or, in the case of SADX, underwater effects. 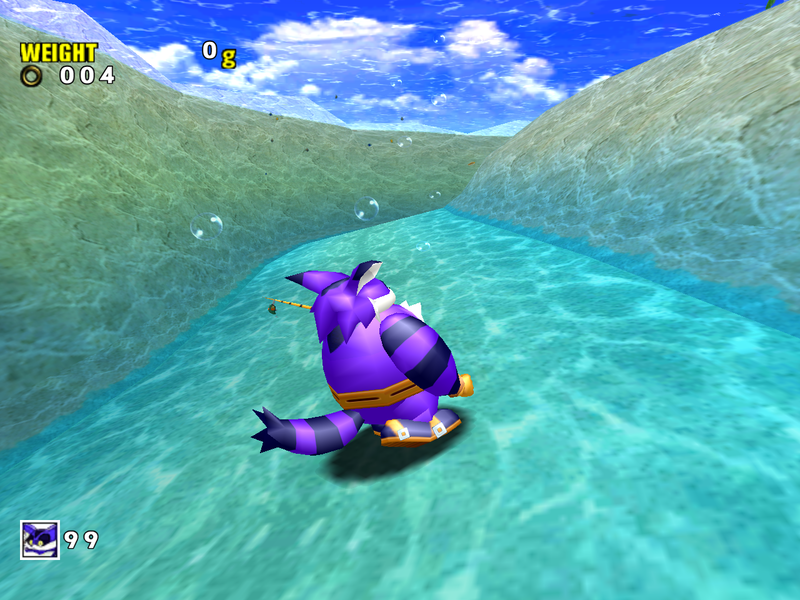 In a sense, the water effects SADX had on the Gamecube were quite good for their time – not rare, because some PC games already had similar effects, but certainly remarkable for the hardware level. 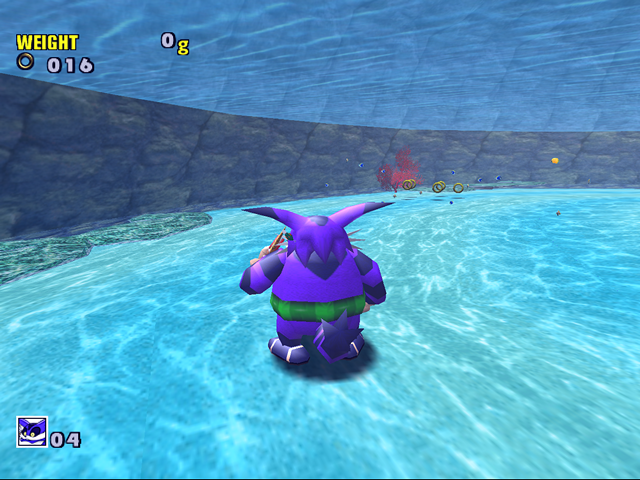 This page is going to focus on water textures and effects in different versions of the game. 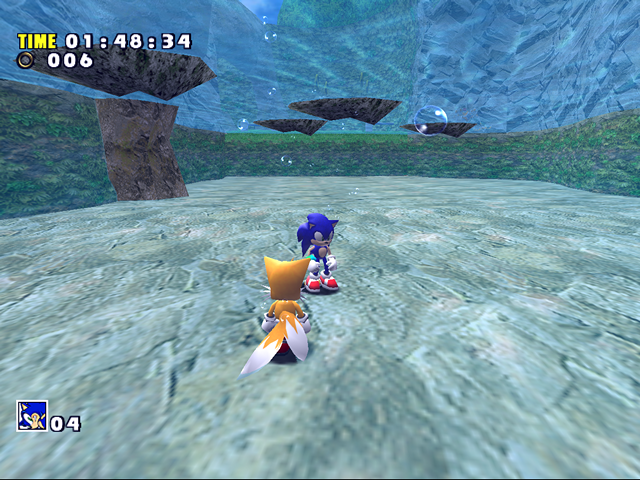 The biggest problem with SADX water is lack of consistency. The water was updated to use additive blending only in Adventure Fields, Emerald Coast and the Chao Gardens (and not everywhere in the gardens – for example, in the Mystic Ruins garden the water in the background uses a “normal” blending mode, while the water in the garden itself is “acidic”). 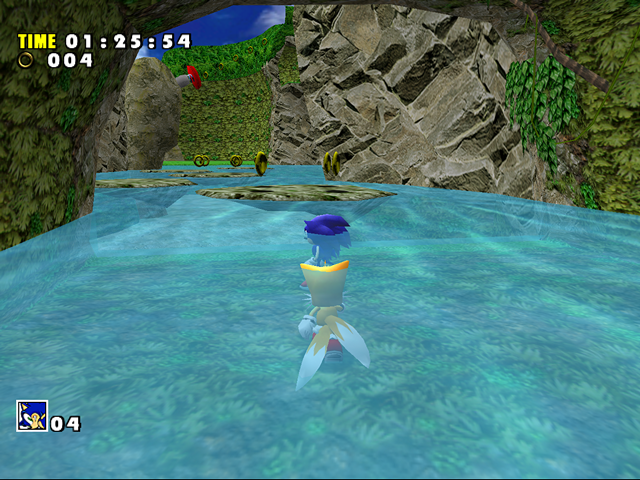 The rest of the game uses Dreamcast water textures and it looks jarring. For example, in the following area the Dreamcast version uses the same water texture as Twinkle Park, Lost World and Hot Shelter. 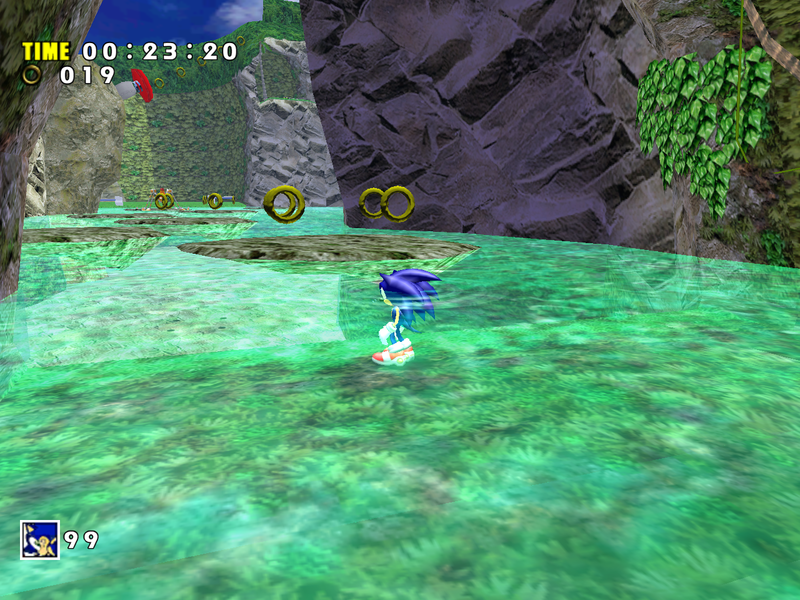 In SADX it was updated to use an “acid green” texture, but none of the other SADX Action Stages have those water textures or use that blending mode. 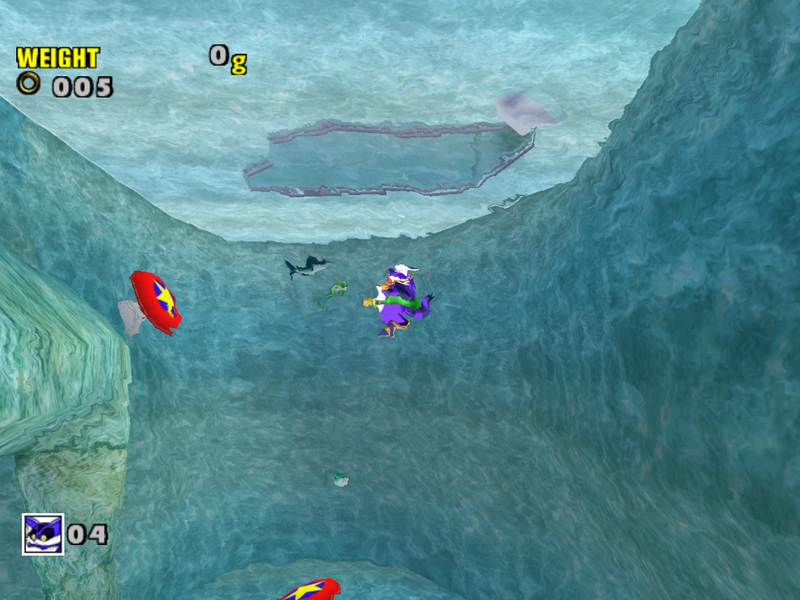 It makes Emerald Coast stand out among the rest of the stages. It feels as if the game was being reworked, but the developers stopped halfway. 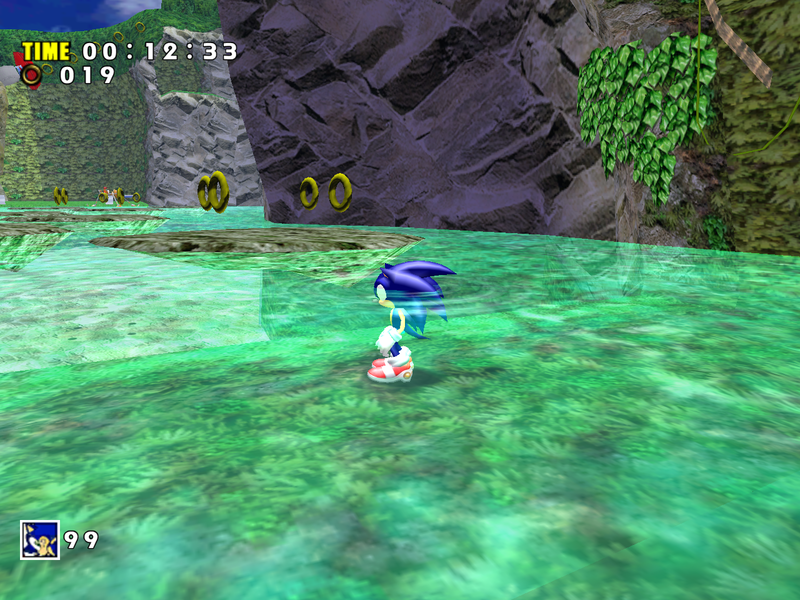 The Dreamcast version was consistent with water blending modes at least. 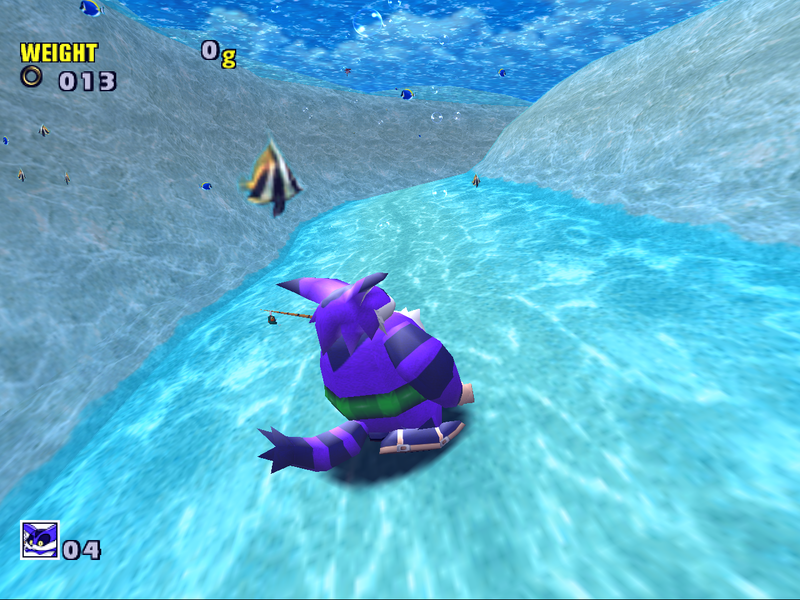 The distortion effects in the Gamecube version look strange and out of place in a game that hasn’t had its graphics updated otherwise. 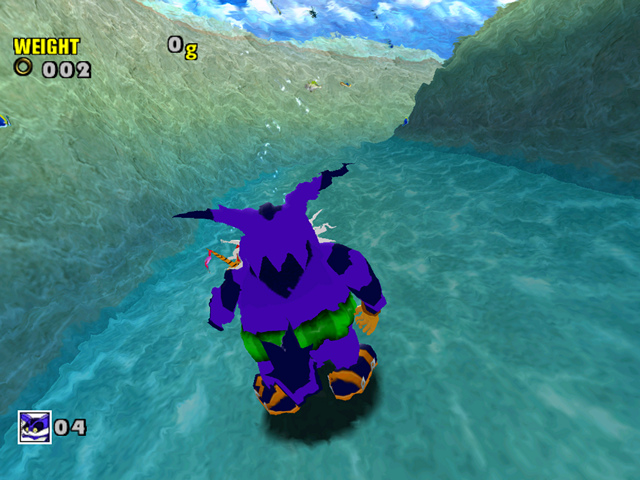 One might say the water looks more “realistic” in comparison with the more modest effect in the Dreamcast version, but the Gamecube screenshot below doesn’t look too realistic with excessive distortion. 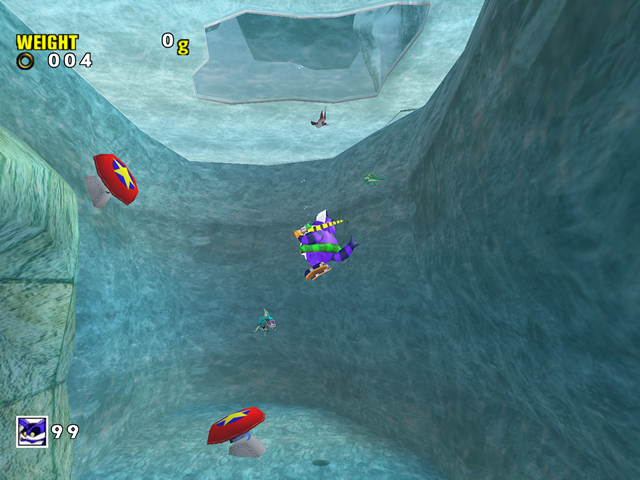 Some people may also consider it distracting because it makes it harder to navigate underwater. 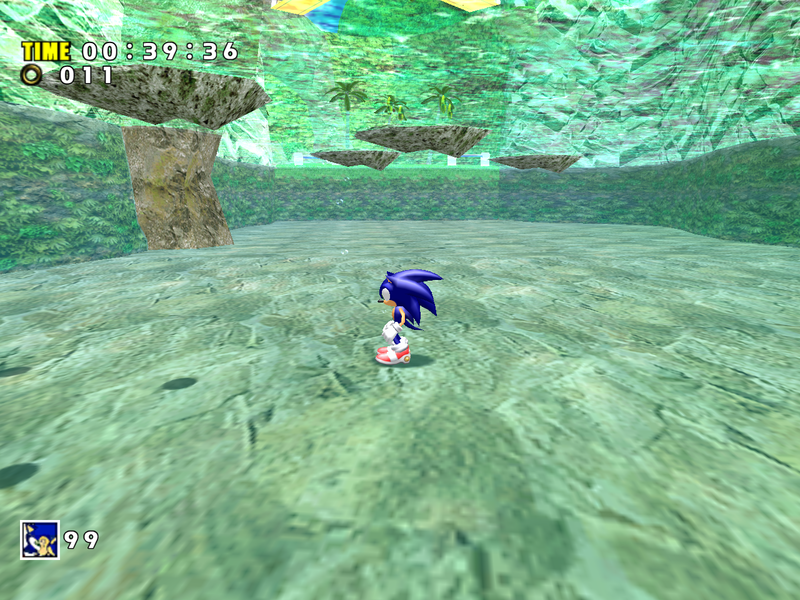 It gets worse when you’re moving around because the distortions are constantly moving as well. 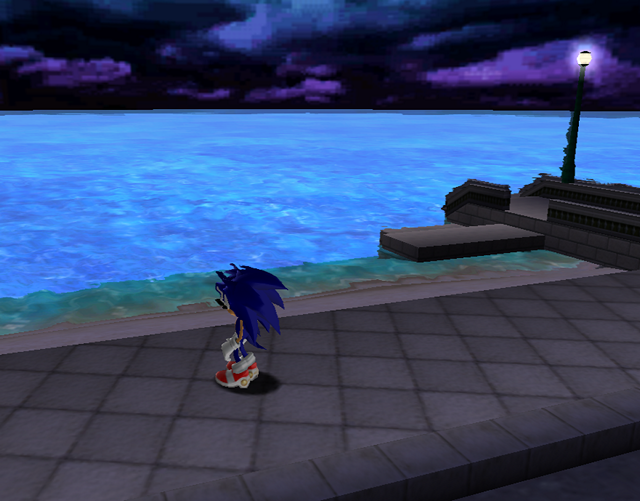 It also doesn’t work well with shadow animations on the pool sides and bottom. It could have ended up looking better if the effect was toned down a little. 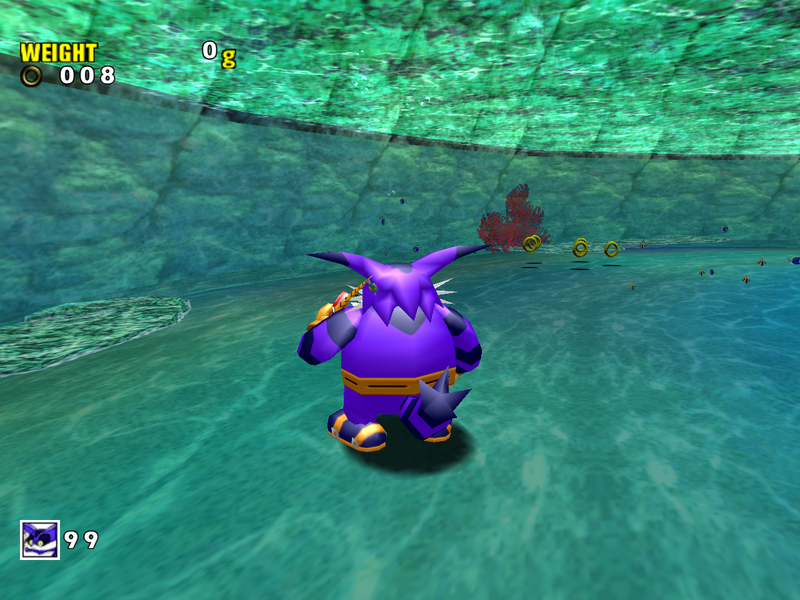 The Dreamcast version didn’t have distortion effects, but it still managed to convey the feeling of being underwater using a slight blue tint on the screen. 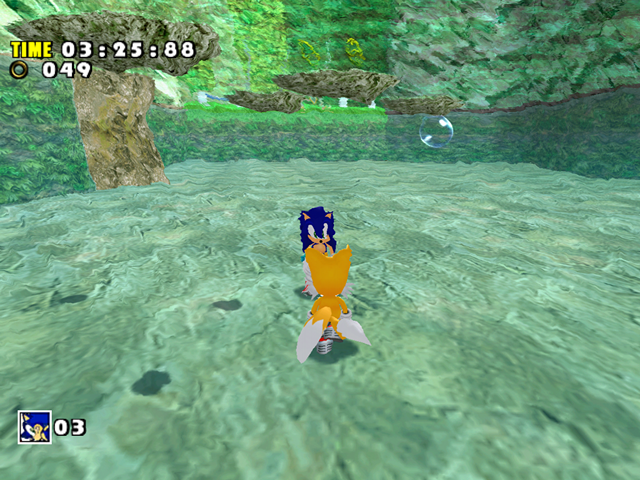 The PC version has neither the distortion nor the tint effect, which makes it the worst of all three. 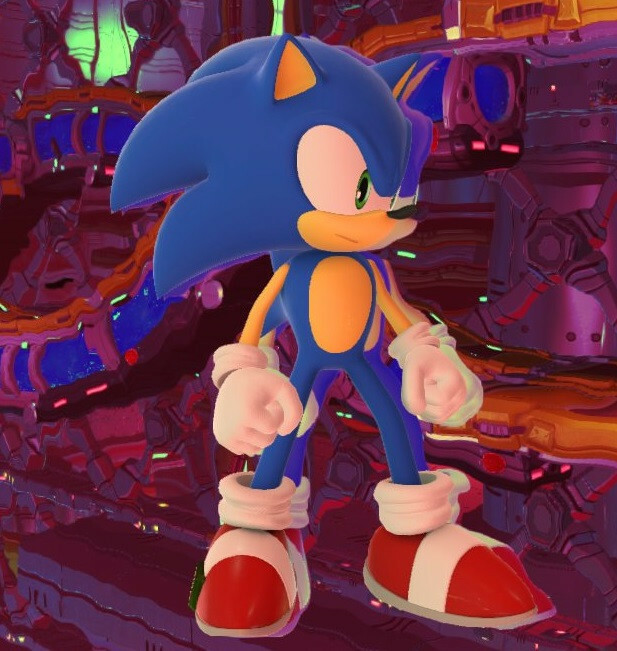 * The Sonic Forces screenshot was taken in an area that is not accessible normally and with a free camera mod (thanks to RobowilOFFICIAL for providing the screenshot). 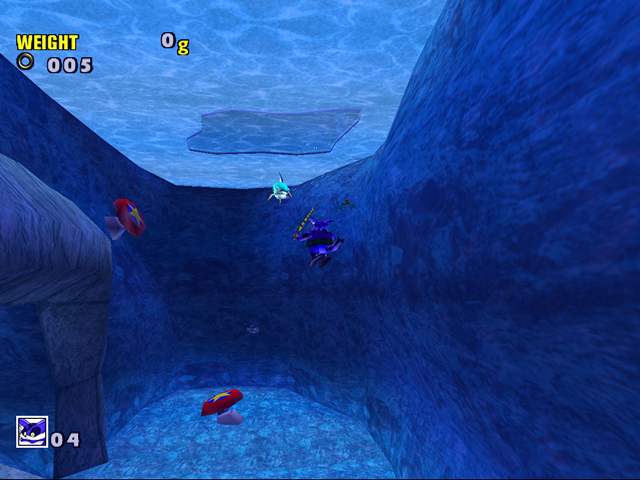 The artifacts are harder to see during regular gameplay. In general it’s quite difficult to notice these artifacts in other games because level and camera design accommodates for it. 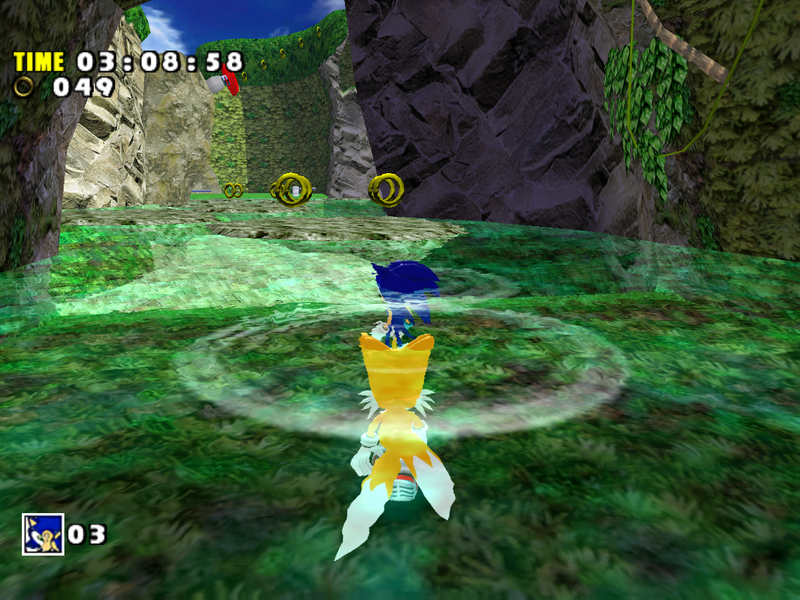 However, when SADX was being ported to the Gamecube, no adjustment was done to minimize the artifacts. As a result, this common problem is more obvious in this game compared to other games. 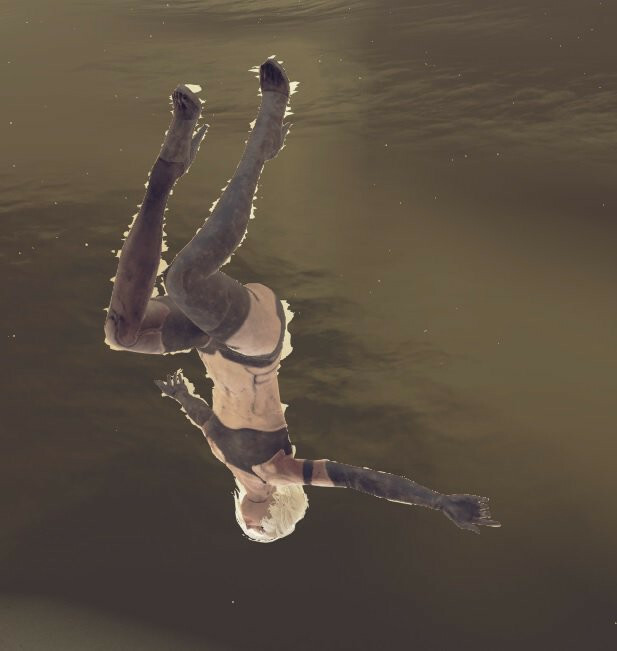 Another problem with the distortion effect is that it makes the underwater texture animations look worse. This goes back to the argument that such effects are generally incompatible with this game’s design. The developers tried to adjust the animations by making them less visible, but that didn’t help much. The PC version doesn’t have the distortion effect, but retains the washed-out animations, which now look heavily downgraded when compared against the Dreamcast original. Interestingly the Steam and nextgen console ports of SADX have leftover shader code for water distortion, which suggests that the Gamecube-like water effects were being considered for the updated ports at some point. 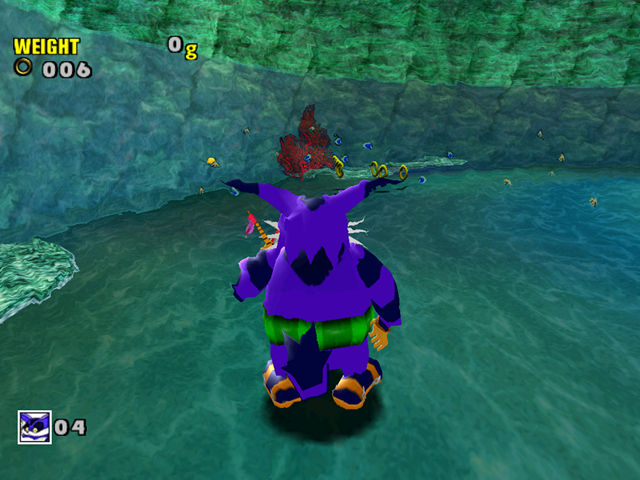 Unfortunately these effects were not implemented in these ports, so the Gamecube version remains the only version of the game with underwater distortion. Dreamcast and Gamecube underwater effects are currently being researched in this GitHub issue, and eventually you might see them in the PC version with the Lantern Engine mod. Check this section for more information on mods for the PC version. Next Article Emulating Sonic Adventure – is this a good or a bad idea?